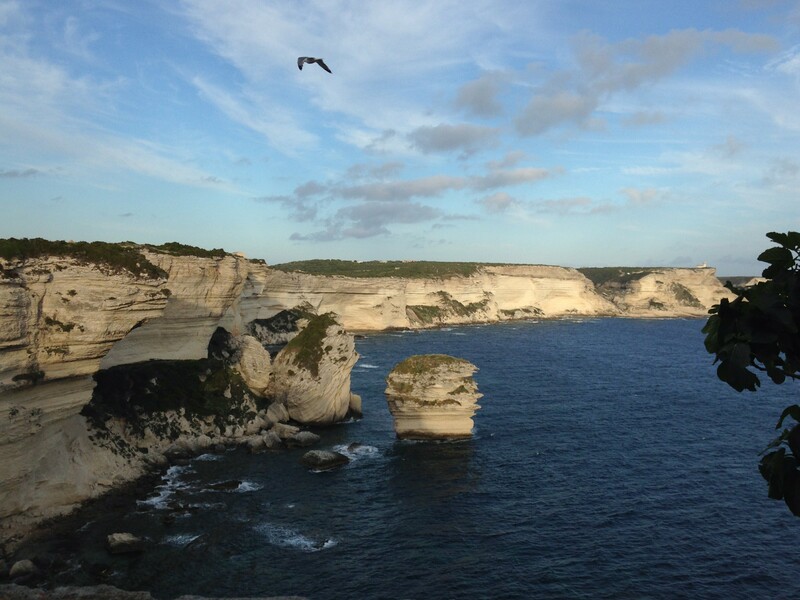 Beautiful limestone cliffs in southern Corsica, near the city of Bonifacio. I’ve returned from a couple of weeks vacationing in the Mediterranean island of Corsica. It is French, the birthplace of Napoleon, and amazingly scenic, with high mountains rising out of the sea. There are no ‘easy’ hikes or drives on this island, but the views are fantastic. Corsica is a small place with French attitudes, Swiss landscapes and Italian city names. The people are friendly; the food and wine are delicious. It is a motorcyclist’s paradise, but I was driving a Renault Twingo on steep, narrow roads. A great place for vacation — especially since I rarely had access to the Internet, TV or world news. So I came away from Corsica with zero investment ideas. Now that I’m back, I see that interest rates have climbed slightly in the last couple of weeks. The 10-year Treasury was at 2.54% on May 23, now it is 2.65%. A 10-year TIPS was yielding 0.31% on May 23 and now is 0.43%. Just as I was leaving, the European Union committed to negative interest rates on excess bank reserves, which sent Euro interest rates tumbling and strengthened the dollar. (Too late for me, unfortunately.) This has caused rates to tumble in Europe, with a Spanish 10-year note now yielding 2.70%, just barely more than a 10-year US Treasury, despite the higher risk. I would expect this to increase demand for US Treasurys, which will keep a lid on yields. I’ll be posting an analysis of this auction tomorrow (I hope), but the Treasury did announce today that is is reopening CUSIP 912810RF7, creating a 29-Year 8-Month TIPS with a coupon rate of 1.375%. This TIPS was first auctioned Feb. 28, 2014, with a yield to maturity of 1.495%. This TIPS is currently trading on the secondary market with a yield of 1.13%, substantially below the coupon rate and creating a price of about $106 per $100 of value. More on this issue tomorrow.